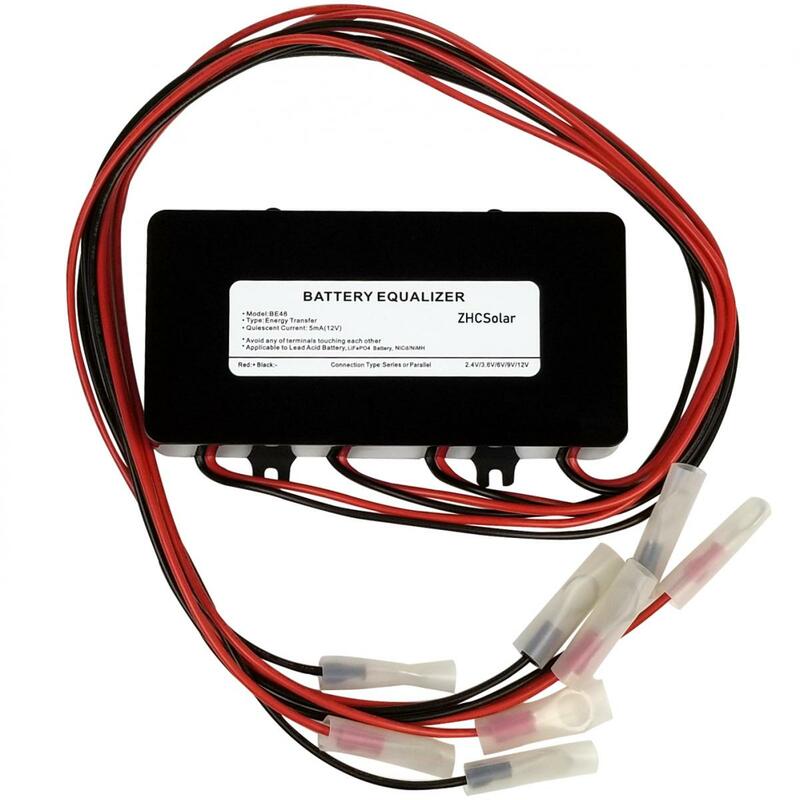 the Ha02 48V Battery Equalizer can connect Four 12V Batteries by default, no matter in series or in parallel. 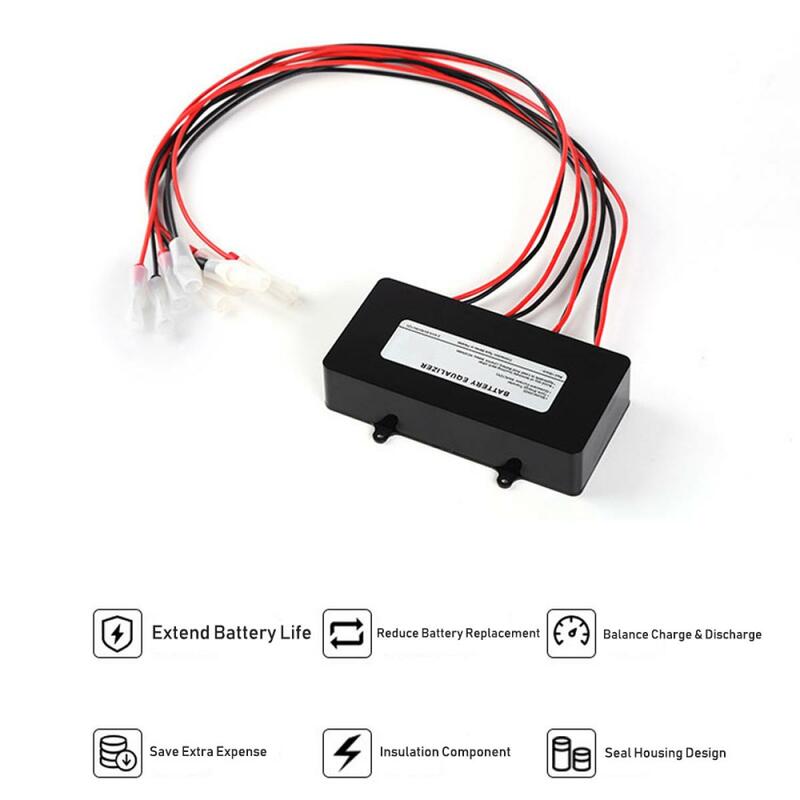 the maximum compensation current is 10A. 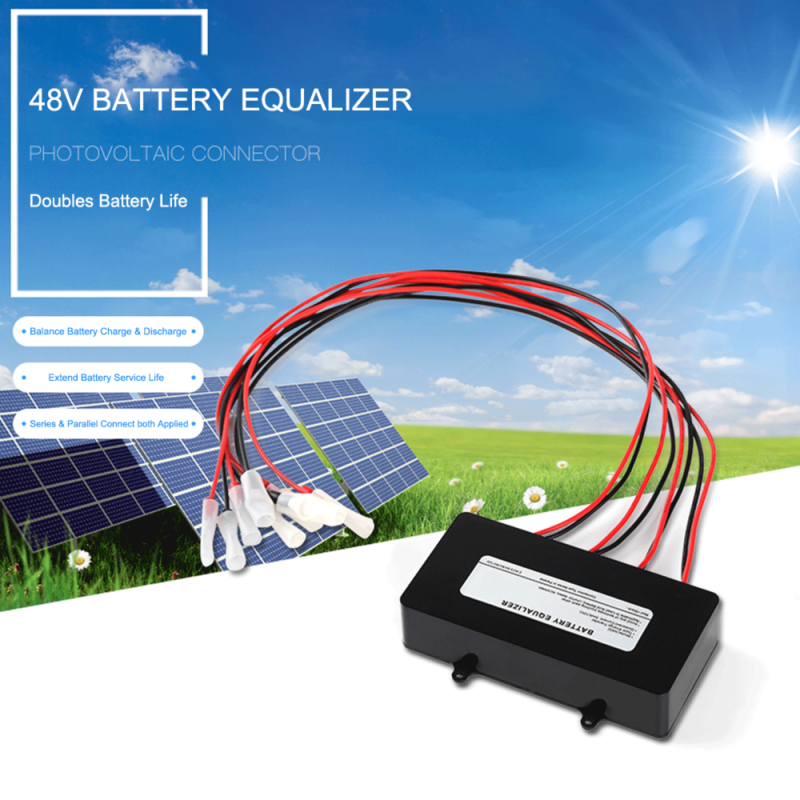 For 96V or higher voltages Battery group, multiple 48V equalizers can be connected in parallel. 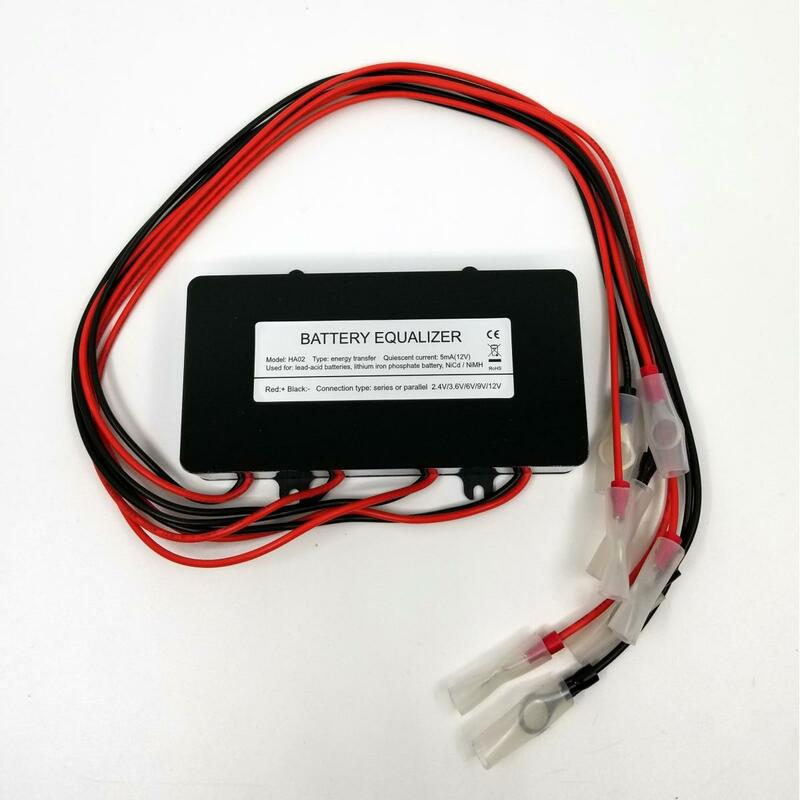 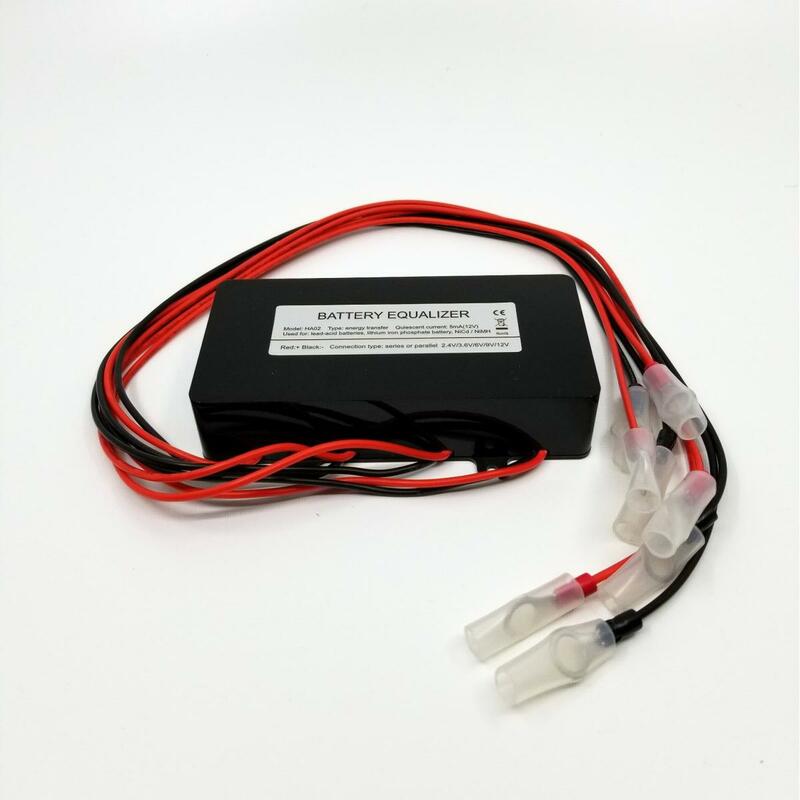 48V battery equalizer is suitable for Lead-acid Batteries(VRLA), Lithium Iron Phosphate Batteries(LFP), Nickel Cadmium Secondary Batteries(Ni/CD), and Nickelmetal Hydride Secondary Batteries(Ni/MH). 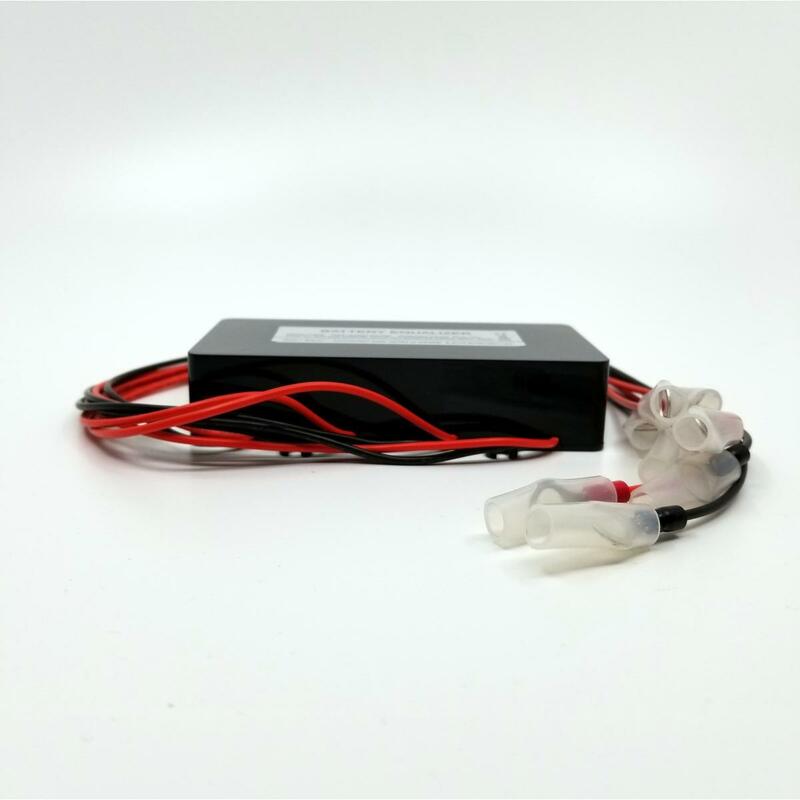 It starts work when the voltage higher than 2.4V, it means that this equalizer can be used in a single cell battery range from 2.4V to 12V. 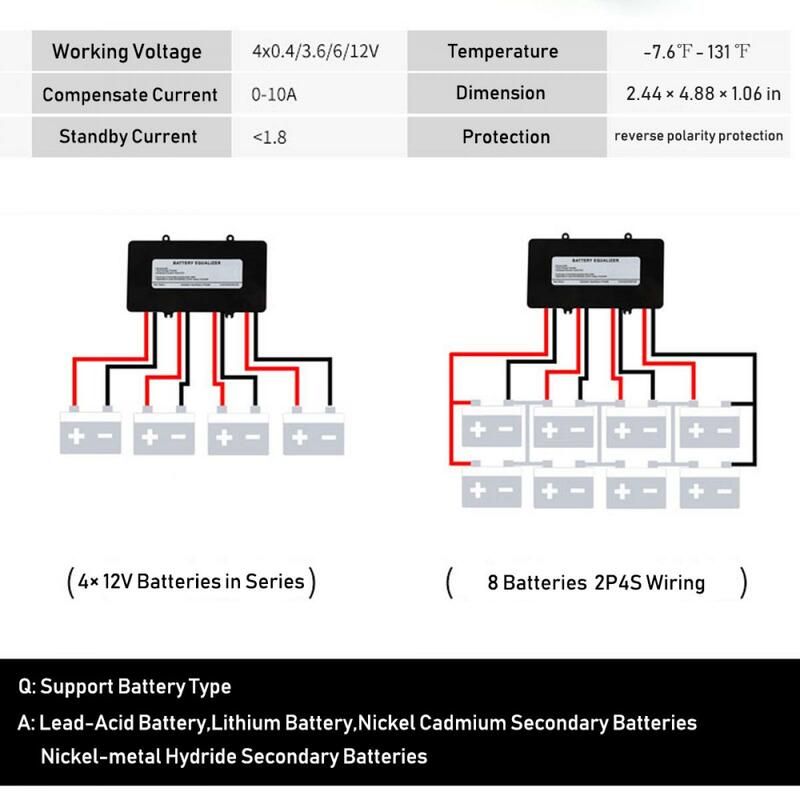 One equalizer can connect 4 batteries once a time, if battery less than the 4, the extra cable can be vacant (positive and negative terminal should be avoided), does not affect the equilibrium effects. 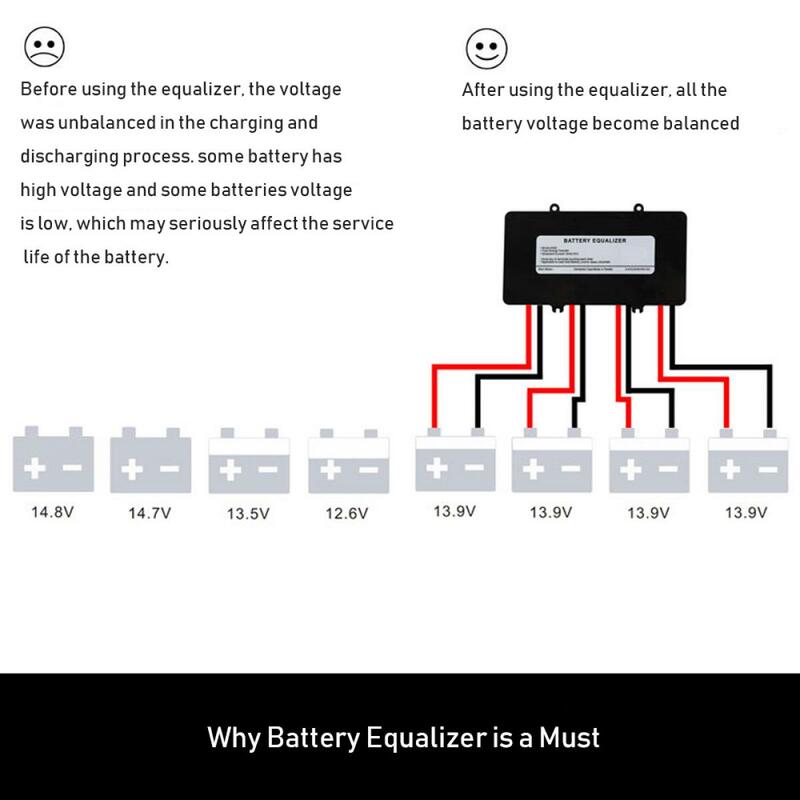 The equalizer is not affected with battery connection way, no matter in series or in parallel, both can work.